Can you believe it is February? With everything that has been going on here, politically, I haven’t been in the mood to sew much. My goal is to get back on track this month. So, lets get started. I don’t think I have really discovered what my style is. I like what I like, and I try to buy clothes that are flattering for my figure. I can’t say the same for when I sew for myself. Sewing clothes that both fit and are flattering is something that I hope to improve on this year. So, I will be stepping out of my comfort zone of T-shirts, jeans, and flats by trying to incorporate different blouses and tops into my casual wardrobe. I feel like view A, is me testing the waters a little. Mc Calls released this pattern, M7542, as a part of the early spring 2017 release late last year. As soon as I saw this top, I knew I was going to make at least one of these. They are all super cute! The top is very simple, but its the sleeves that makes it stand out. I was immediately drawn to view B, but I cut view A. (I did cut view B, that’s a later post). Its cute and it can easily fit into my on the run uniform of jeans and sneakers. I cut this top early January and I finished it about 3 weeks ago. Its been hanging on the wall of my sewing area, while Houston decided what it was going to do with the weather. View A has petal sleeves. Here is a rough illustration of petal sleeves, also called tulip sleeves. I have never sewn petal sleeves, so this was a first. It was very easy. Just make sure you transfer your markings onto your fashion fabric from your pattern before you baste them together so that the tulips over lap each other. Fabric Used: I used a 100% cotton print that I purchased from JoAnn. Modifications: I did not make any major modifications.Have you ever been so excited to start a project, that you cut your fabric and measure later? Me either. Long story short, I needed to add a few inches to the length of the bodice. It is shorter than I prefer. I knew that from looking at the model and forgot to do it. I also did a narrow hem finish on the sleeves and top. 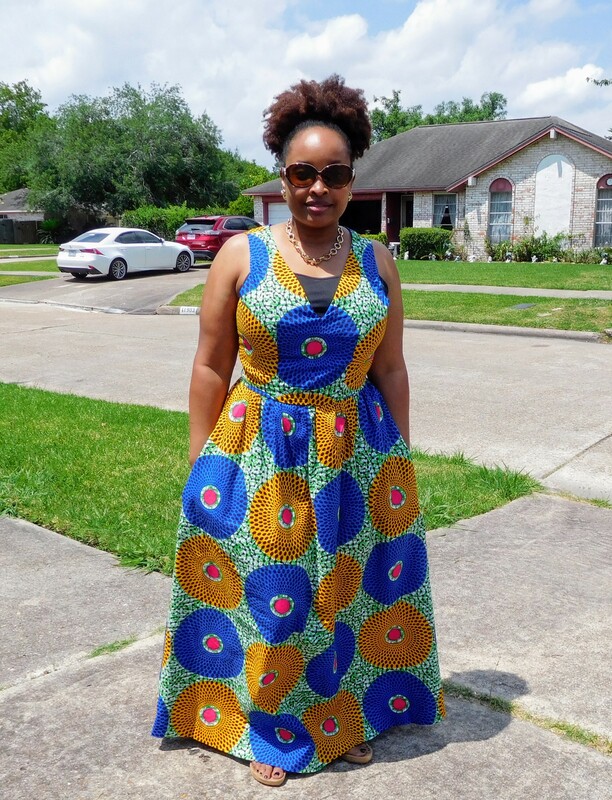 Overall: This is a very easy sew. It can easily be done in a few hours, start to finish. It meets my requirements of my on the go uniform. It goes with jeans, flats and its cute! I highly recommend you add this pattern to your stash and sew up a few of them for spring. What is your on the go uniform? Will you be sewing this pattern for spring? Wow your top is sooo much better than the pattern. I have looked at it a few times and discounted it the bodice was too short and the petal sleeve looked too long. Thanks for sharing. Thank you Sue! I did lengthen the bodice for my second top. Thanks for stopping by. Love your tops, read both blogs. I had discounted the pattern because it is short, but those sleeve looks are really cute! I would definitely lengthen the top too. Your posts of this pattern have inspired me, I will get that pattern soon! Thank you Erica! Yes, get the pattern. You can easily make the top your own or add the sleeves to your favorite dress. The blouse is fine in both views and love the length, I guess because i have a short tour-sour. once again you did a great job!! I would love to see view D in a yellow seer sucker if you have the time!! Thanks. I’ll come by and shop from your fabric stash. Lol!